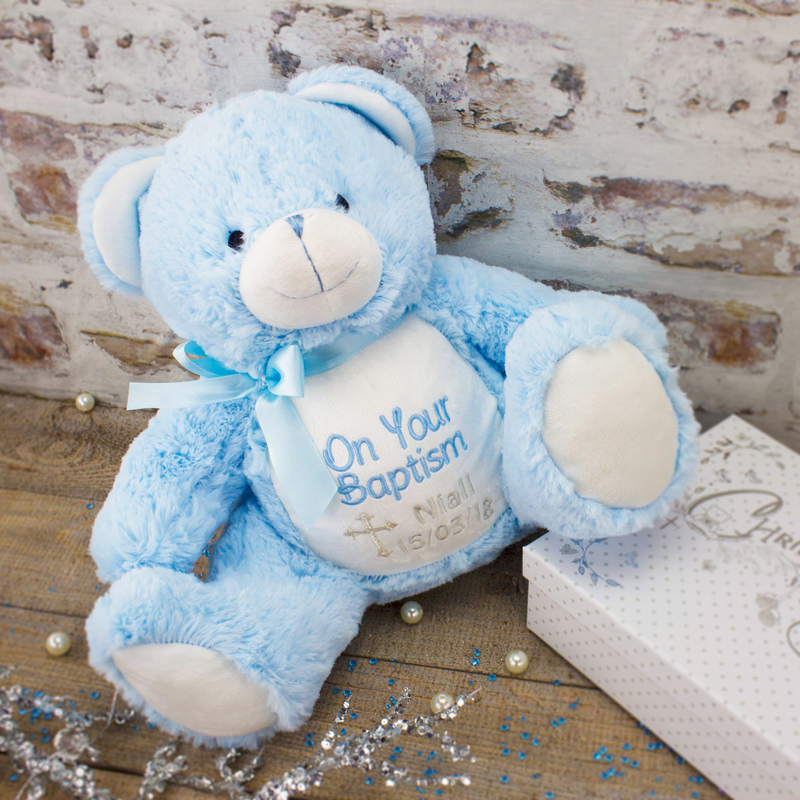 Gift baby the most adorable personalised Christening/Baptism gift on their special day, with our simply stunning Personalised Teddy Bear - specially designed to commemorate the all important details of the big day with their very own friend for life! These bears are available in Blue, Pink & White! 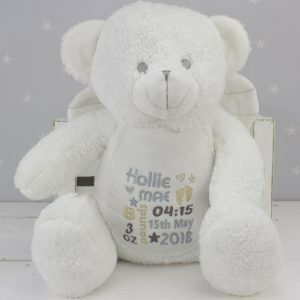 This Stunning Personalised Teddy Bear is the ideal Personalised Keepsake Gift for every newborn baby, our complementary embroidery service allows you to capture the all important details from their birthday on their new teddy bears stomach. Check out our product photo gallery for different designs for the front of your Teddy Bear and select the matching one in the box below! 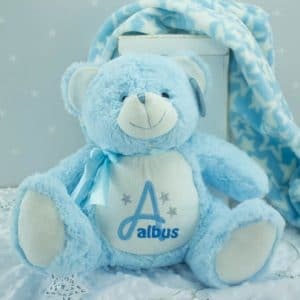 Every newborn baby boy adores their first teddy bear, so treat them in style with our Personalised Blue Teddy Bear that offers a precious gift that will become a lasting keepsake with our personalisation service. Check out our product photo gallery for different designs for the front of your bear, select the matching one in the box below and simply fill out the relevant information in the text boxes below! 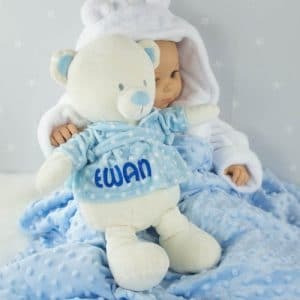 Make sure your little man falls in love with his first soft toy with our Personalised Teddy Bear, his soft to touch fur makes him the perfect snuggle buddy for every newborn! All newborn baby girls fall in love with their first teddy bear, so treat them in style with our Personalised Pink Teddy Bear that offers a precious gift that will become a lasting keepsake with our personalisation service. Check out our product photo gallery for different designs for the front of your bear and select the matching one in the box below! 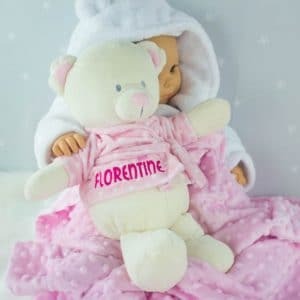 Make sure your little girl falls in love with her first soft toy with our Personalised Teddy Bear, her soft to touch fur makes her the perfect snuggle buddy for every newborn baby girl! All newborn baby girls idolize there first cuddly toy, so treat them in style with our pink 'Cubbyford' bear that offers a precious gift that will become a lasting keepsake with our personalisation service! Check out our product photo gallery for different designs for the front of your bear and select the matching one in the box below!